Sweet citrus! This Saturday at the Little Italy Mercato. What do you do when life gives you lemons…and limes and oranges? Well, if you’re the Little Italy Mercato, you throw a party! That’s right, downtown San Diego’s favorite farmer’s market is celebrating it’s third anniversary this month with a “Citrus Circus” celebration tomorrow June 18th. From 9:00 am to 1:00 pm this Saturday, in addition to the regular market festivities, you’ll find jugglers juggling local citrus fruit and a panel of local chefs and food writers judging original citrus-centric recipe entries by local chefs and home cooks. Chef Jenn Felmley, who can often be found sharing her culinary tips at Pacific Beach’s Great News! cooking school, will be demonstrating how to make yummy Italian-inspired dishes by harnessing the power of local citrus in items like lemon risotto and a fresh arugula salad with lemon vinaigrette. 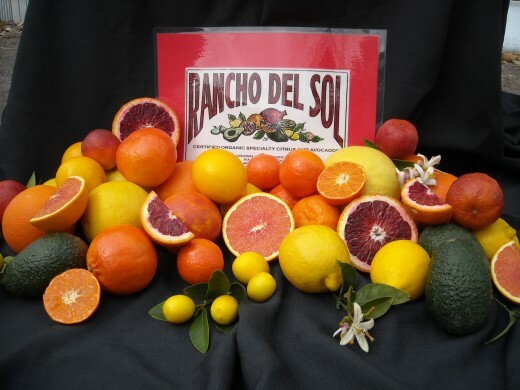 Citrus farmer Linda Zeiser who owns Rancho Del Sol Organics in Jamul will also be demonstrating how to make the classic Italian aperitif, limoncello. Yum! All this, plus two stages of live music with award-winning guitarist Johannes Linstead and, market favorite, Smilin’ Jack playing his Italian accordion. Held every Saturday along five full blocks of Date Street in the heart of the historic Little Italy neighborhood, the Mercato is my go-to farmer’s market. Here, it’s not all about shopping. Over the last three years, the market has delighted the taste buds and sparked the culinary imagination of locals and visitors with fresh organic produce, farm-fresh eggs, meats, olive oils, pastas and cheeses; artisan crafts; live chef demos, tastings and more. Every time I stroll through it’s streets I discover something new and make a treasured food memory. From savoring live, Point Loma sea urchins straight from the shell within sight of the waters from which they came to my first discovery of local taste makers like Viva Pops or Eclipse Chocolat, every Saturday at the market is an adventure. That’s why the Little Italy Mercato has a special place in my heart. So, do me a favor, pucker up and say ‘happy birthday’ to the Little Italy Mercato this Saturday…mangia bene! This entry was posted in Insider Tips and tagged dining, farmer's market, food, little italy by Kate. Bookmark the permalink. We went and it was fantastic! There were tons of organic fresh food, great live music and not to mention beautiful weather!